The original name of the Globe and Rainbow, Kilndown, was the White Hart and the earliest available licensing records, dated 1753, name the landlord as Thomas Crouch junior. By 1782 the innkeeper was a John Crouch, although it is not known if he was related to the first named landlord. John did not own the inn but leased it from Isaac Luck and on his death he passed the lease to his own son, John. A carpenter by trade, this second John preferred to let the pub to brewer Flint Stacey of Maidstone. Changes in tenancy occurred regularly after that, and by 1793 the licensee list shows that William Masters was running the business, while the property was owned by Richard Springett of Finchcocks. At the time of the first census record in 1841, William Sands, described simply as a “retailer of beer”, had taken over. Ten years later William, now a widower, was still there although now described as “innkeeper and farmer of 15 acres”. He remained landlord until at least 1861 when that year’s census shows that he had enlarged his farm to 18 acres. 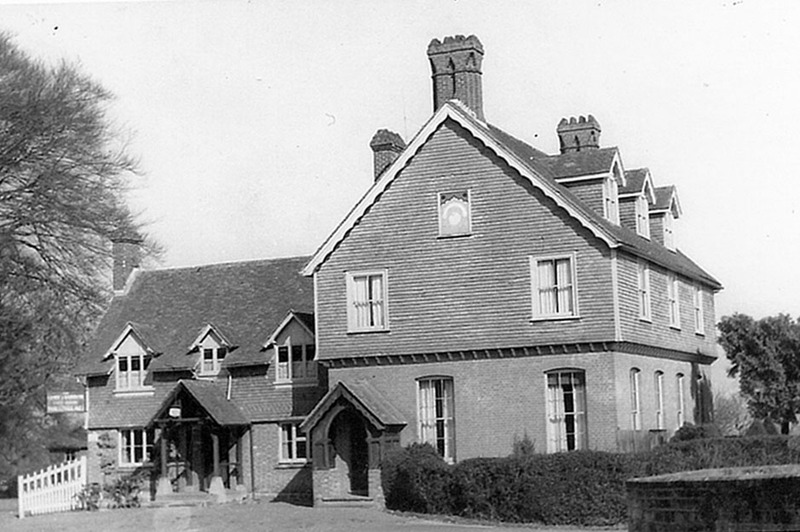 In 1867 the White Hart was among a number of properties belonging to the Finchcocks estate purchased by Alexander James Beresford-Hope of Bedgebury. The inn was described as ‘all that one messuage or tenement commonly called or known by the sign of the White Hart with the stable, buildings, yards, garden, orchard land and premises’. It was renamed the Globe and Rainbow after the motifs contained in the Beresford-Hope coat of arms. 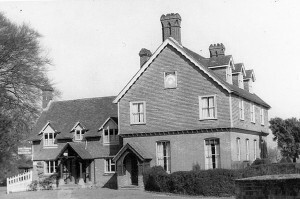 When the Bedgebury Estate was sold in 1897, the sale catalogue stated that Alexander James Beresford-Hope had built the pub for ‘the benefit of Walking and other Tourists enjoying the beauties of this charming district’. Over the years a number of different landlords ran the pub, perhaps the longest serving being the Richer family who arrived in 1883 and whose descendants were still running the pub in the 1950s. However, eventually the fortunes of the pub declined and in 1996 it closed and was sold to a developer. Subsequently part of the building was converted into two houses, known as “The Globe” and “The Rainbow”. The remaining part was eventually re-opened as a pub in 2000 and was, briefly, renamed “The Rainbow’s End”. Since that date although the pub has experienced a few ups and downs it is now, once again, called “The Globe and Rainbow” and plays an important part in the community life of Kilndown.